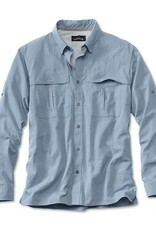 Open Air Casting LS Shirt - Foscoe Fishing Co.
Orvis' lightest and most ventilated casting shirt. Perfect for late-spring and summer tropical fishing. Poly/nylon blend dries quickly and promotes evaporative cooling. Back is caped and lined with our lightweight mesh. Front chest above pockets is also mesh vented. 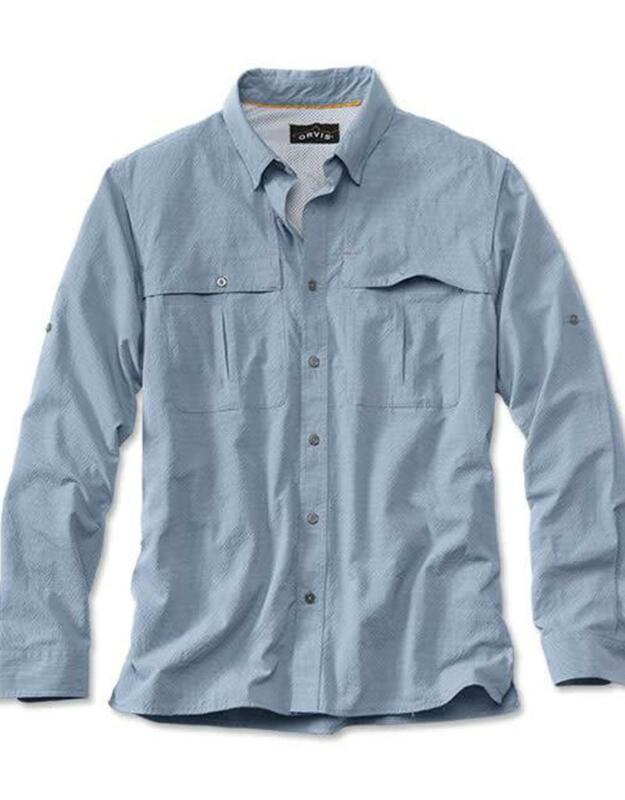 Concealed button-down collar eliminates wind flap. Orvis sunglasses cleaner in hem. Roll-up sleeve tabs. Chest pockets are flat with pleats. Straight hem. UPF 40+. Polyester/nylon. Washable. Imported.